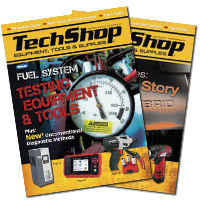 The John Bean Diagnostic Wheel Alignment System (V3300) features a new notification system that provides critical information without slowing techs down. The V3300 wheel aligner puts every alignment on the fast track. The user interface provides instant access to critical tasks in an intelligent flow, ensuring vehicle-specific assistance is always just one click away. 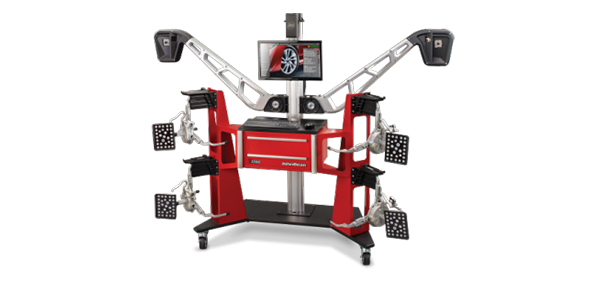 The V3300 wheel alignment system’s automatic height tracking provides optimum placement of its advanced XD targets and cameras for more speed and more accuracy on every alignment. Since the lightweight, three-camera system folds to a compact size with a low center of gravity, the V3300 takes up less floor space in the shop and can be moved around easily whenever required. The V3300’s advanced XD cameras and sophisticated monitoring algorithms find errors as they’re made. It will detect problems with suspension stress or damage, bent or moving lift components, environmental impacts and more – notifying users only when necessary to save time and ensure accuracy on every alignment.